Here’s how you can downgrade tvOS 12 to tvOS 11 in a few easy steps. This guide is applicable to Apple TV 4 users only. 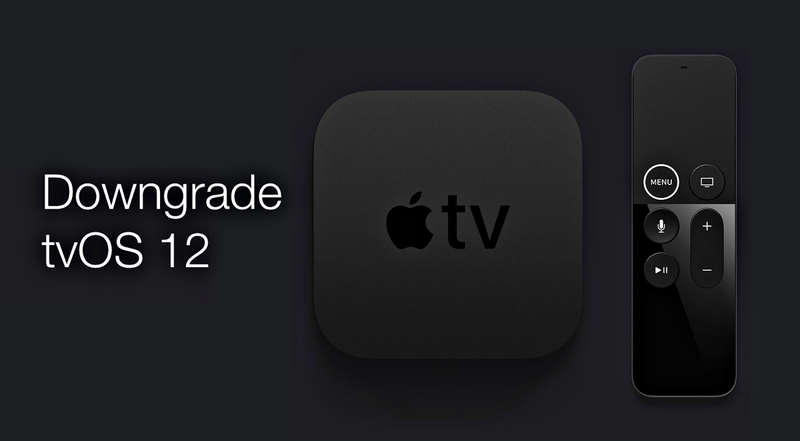 If you have hit a brick wall and are thinking about going back to tvOS 11 on your Apple TV 4 then in today’s guide we will show you how to downgrade tvOS 12. But keep one thing in mind: this process is only applicable for Apple TV 4 users as the 4K model does not have a USB-C port for interfacing with iTunes. Also, the downgrade window is going to be small after which you won’t be able to downgrade tvOS 12 to tvOS 11. So while everything is perfectly hot, decide right away whether you want to stick with tvOS 12 or tvOS 11. Now, you’re all set for the downgrade. Just follow the steps outlined below. 1. Connect your Apple TV 4 with your PC or Mac and then launch iTunes. 2. As soon as your Apple TV power up, it will show up in the top left hand corner of iTunes. Click on the tiny little Apple TV-like icon. 3. Now hold down the left Shift key (Windows) or the left Option key (Mac) and then click on the Restore Apple TV button. 4. Select the tvOS 11.4.1 IPSW file you downloaded a while back. 5. iTunes will extract the package of the contents, restore your Apple TV, verify everything with Apple itself and then prompt your to unplug your Apple TV 4 from your computer and plug it back to your TV. That’s it, you’re now back to tvOS 11, something which you wanted for a good few hours. Remember, and this is extremely important: the downgrade window is going to exist for a very limited amount of time after which upgrading to tvOS 12 is the only choice you’ll have. So if you want to go back to tvOS 11 today, then you likely have a couple of days at best to decide whether you should or not.